Danke vielmals. War super. 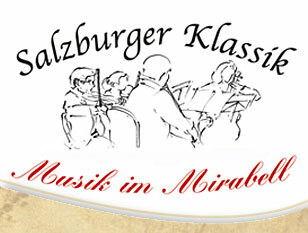 Herzlichen Dank für die virtuose Musik die uns viel Freude gebracht hat. Thank you for the heavenly concert! David and Margaret. Great concert! Keep on doing a great work! Thank you for your amazing concert! It was fabulous and I am delighted I had the chance to listen to these fantastic musicians. I will be back soon. What a lovely concert, we really enjoyed it! Matthew and Jenna U.K. Such wonderful music. Such wonderful mum and son. Great people. Great time. Thank you for sharing your talent. Beautiful, beautiful music. A special experience for us. Beautiful and inspiring! What a talent. This was the most incredible experience of music in my life. Thank you so much! Es war sehr großartig. Vielen herzlichen Dank. Sie sind eine begnadete Künstlerin. Sehr gut! Greets from Portugal. Vielen Dank für dieses beraubende Konzert, eine wirkliche Wärme und Hochgenuss für die Ohren. How wonderful it was to hear you both play so beautifully! I felt so much emotion... thank you!! Alexandra from KidzCreatMusic in Los Angeles! Wonderful performance! I have chills! Thank you, it was marvelous! Thank you for the great music!!! Love it!!! Well done! Spot on tone and phenomenal playing! You’re a fantastic pianist! It was a really amazing experience! I wish you a lot of good luck in your life and be successful!!! Yu Ying und Helian Zehetmair. Great! Anton Rosputko. Thank you from Norwegian Academy of Music! Danke, dass Sie uns in die schöne Musikwelt gebracht haben... wir haben die Zeit und ihre Musik wirklich genossen! 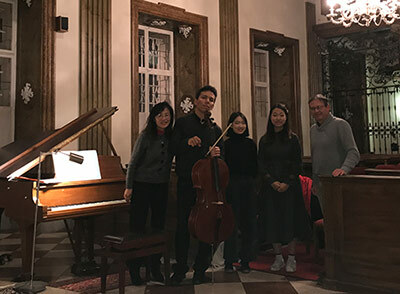 Herzlichen Dank für ein wahrhaft himmlisches Konzert Wunderbar inspirierend und mit absoluter Virtuosität interpretiert vielen Dank für dieser schönen Nachmittag Felicitaciones por su maravilloso talento. Que dios les protege. Es war ausgezeichnet. Wir haben haben zwei Konzerte der extraklasse am 19. und 20 Februar erlebt. Beste wünsche und alles gute für die Zukunft für Familie Zehetmair. Grazie per l’ottima musica! Lucia. Grossartiges Konzert - Bravo! Danke Wunderbares Konzert- Vielen Dank! Die drei Damen von Chiemsee. Grazie per la bellissima interpretazione musicale, che ci na fatto vivere il sogno. Just fantastic. Extremely elegant playing! Thank you for your dedication to your craft! Thank you for a very nice concert! Very energetic and particularly nice! Good luck and congratulations! To Helian+ Yu Ying. Many thanks for wonderful concert. We enjoyed it all. Haydn was spectacular. Good luck to both. Best wishes for you. Excellent concert and great musicians Deena Keito. A beautiful treat in Salzburg, Austria from a fellow North Carolinian! Yu Ying und Helian Zehetmair. 3 ladies from England. Very good- excellent. Yu Ying und Helian Zehetmair. I really enjoyed the concert, the combination of the piano and the cello was very accurate, I felt the emotions of the pianist and cello player so it wasn't just technical played. Yu Ying and Helian are really nice and warm people, thank you for a wonderful evening! From Israel Barnk Zoref. I had a great time listening to your concert. You both play so good and the chemistry between you two is wonderful! Thank you very much Meir Zoraf - Israel.